"What abstract artists did was to use shapes and colours. I thought that if I had to transpose abstraction into my field, my art, it would be to use my ingredients without representing anything in particular. So it would be non-figurative. It's very tricky, actually. Because it's about balance. You focus on the fragrance and the emotions it gives you, without being able to say it's about rose or jasmine. I think you could say it's citrusy, or it's floral, or woody or green. But besides that, you can't say which kind of flower or wood or spice is in it." 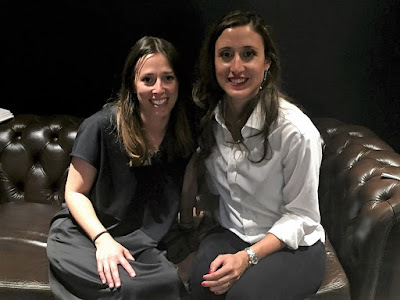 A couple of weeks ago, Basenotes published my interview with Cerine Vasseur (co-founder of Evody) and Cecile Zarokian (creator of the brand's latest trio of scents). To read the full interview, please click here.